What is art? How is this category any different from the others? These awards were commissioned as art to be used as awards. Like many of the awards and gifts at Haertling Awards, which could qualify as "art", these items have little or no wording on the award. This makes them into more of a fine art piece. 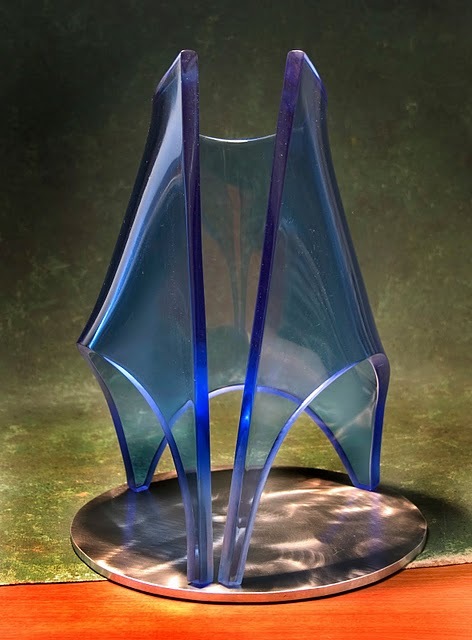 John Haertling has been actively pursuing a career as a sculptor/artist for the past 23 years and has many corporate, private and public pieces to his credit; see John Haertling Artist. "Art as Awards" works well for organizations that have a leading edge approach in a field of study, or for a foundation or corporation having a creative aspect to a field or area of business. The process is about the same as for "Theme Group" awards.